Concentrated pellet dust can be a killer to good boiler performance. Every load of bulk delivered pellets has a small percentage of fines. When they are mixed in evenly with pellets on their way into a boiler, everything is FINE. But when fines get concentrated–which most often happens inside the storage silo–a variety of control faults can occur that shut down your boiler. So if you see an excessive amount of fines in your boiler’s day bin, trouble may be looming. 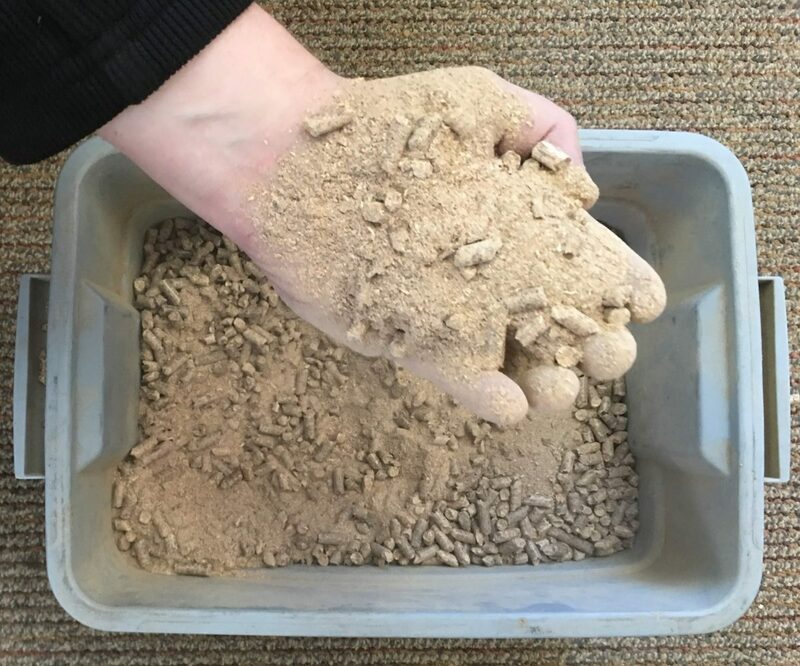 We got a handful of sawdust when we dug into a customer’s pellet boiler’s day bin. That is what caused the fault that shut down their boiler. High concentrations of fines are not good for your pellet boiler. Pellets should look like what’s in his hand, not like the bucket. 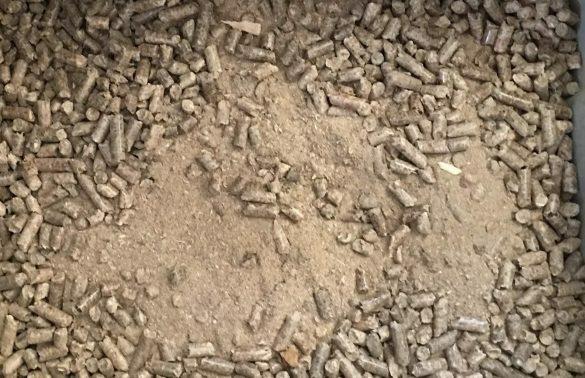 This is what we found in a customer’s pellet boiler after it had faulted out with a feed auger problem. Concentrated pellet dust causes problems! 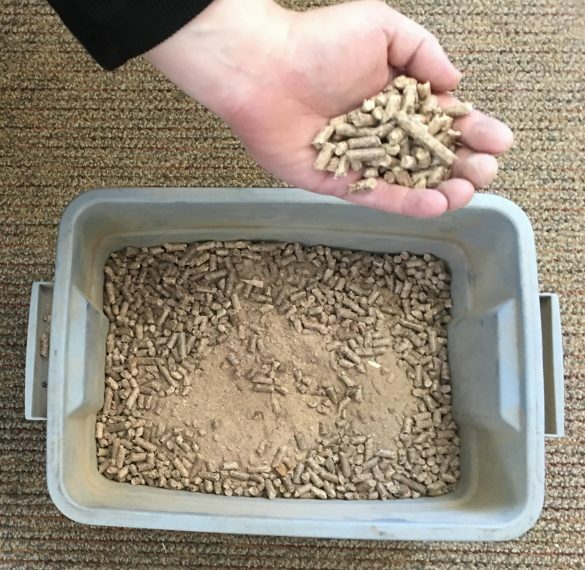 Pellet Boiler Maintenance Tip #3: Why do pellet fines concentrate?